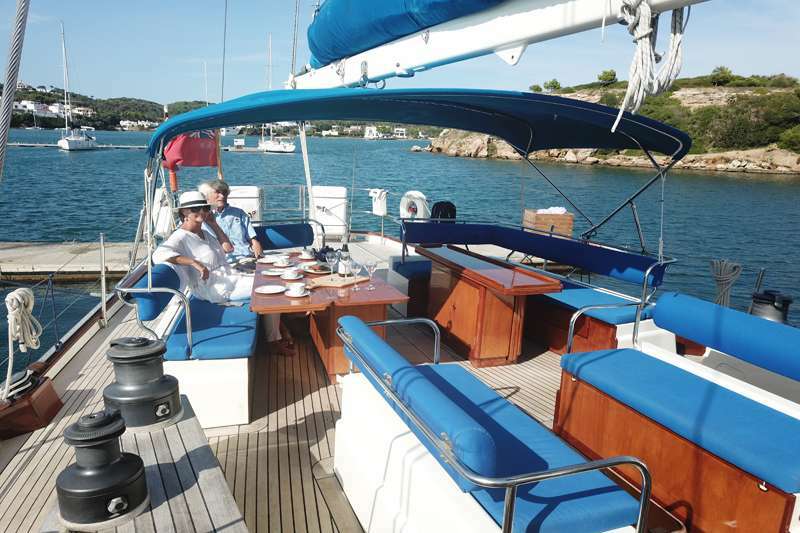 Craftsmans Art was built in 1992 by Southampton Yacht Services and designed by Bill Dixon with interior design by Ed Myers for the current experienced owner. 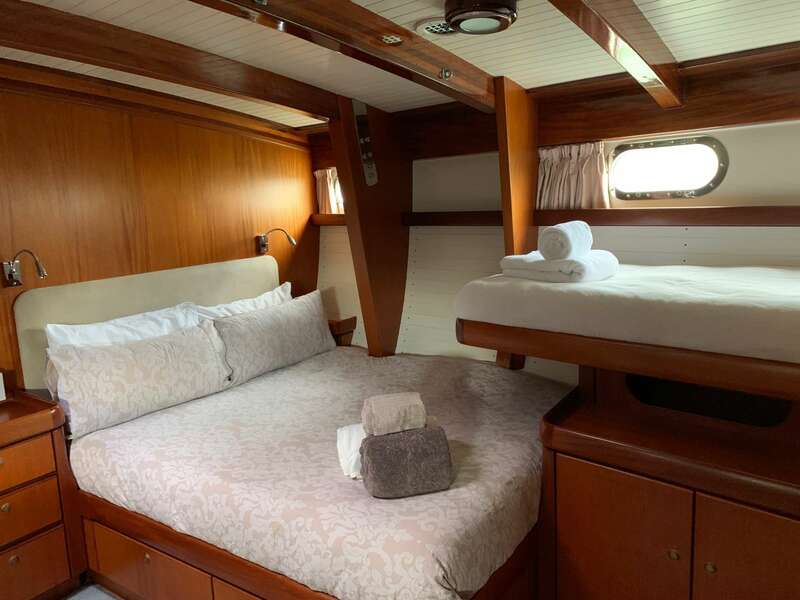 Guests are instantly impressed by the space above and below decks and the beauty of the exposed structure and furnishing all in mahogany. 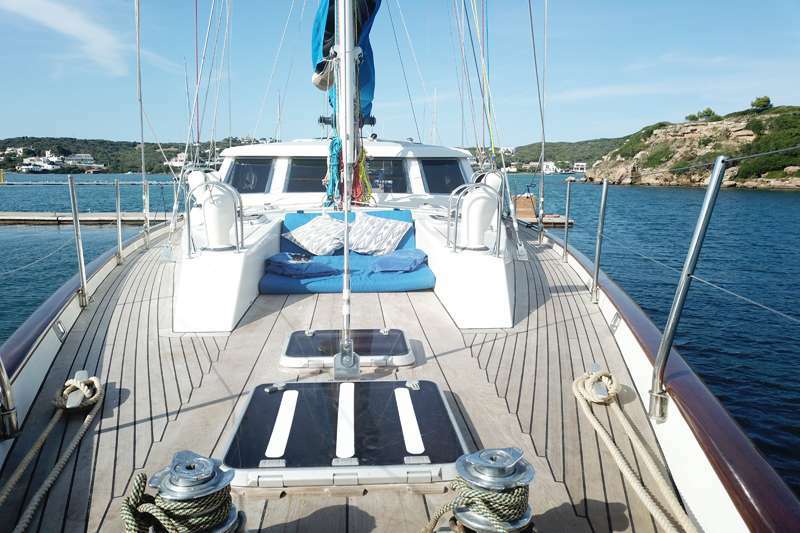 Boat International stated “...her saloon has cathedral like proportions and she heels to a sailing breeze in a way only a substantial wooden boat can do...”. 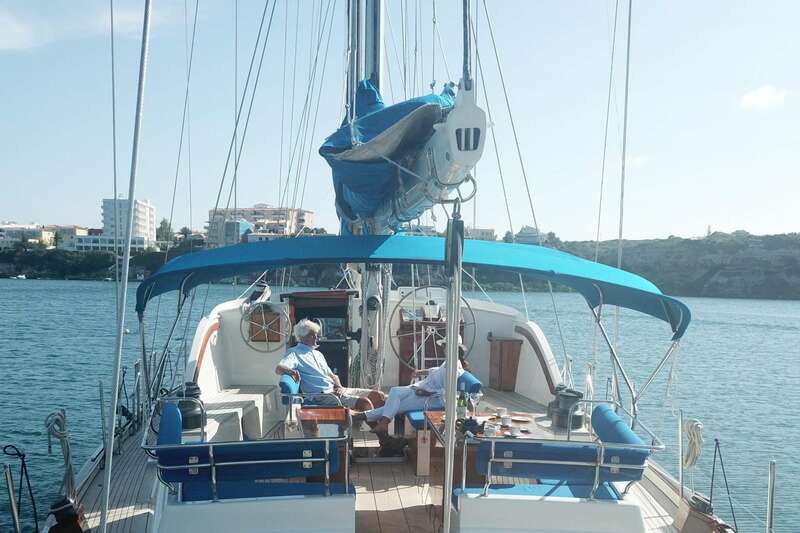 The lasting memory for most will be slipping along under colourful light weather sails enjoying an evening drink while sitting on deck chairs at the back of the yacht. 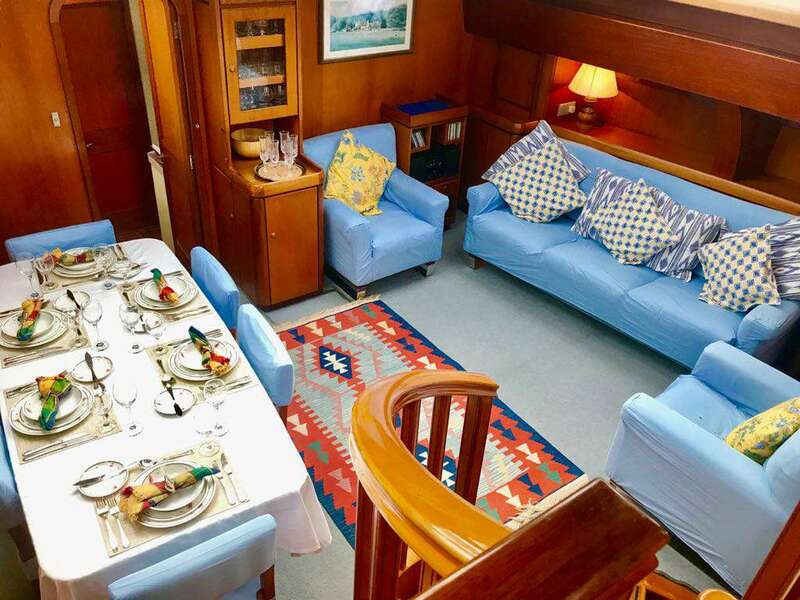 Craftmans Art guest accommodation is aft of the saloon, one large double owners cabin and two identical twin cabins, all with en-suite. 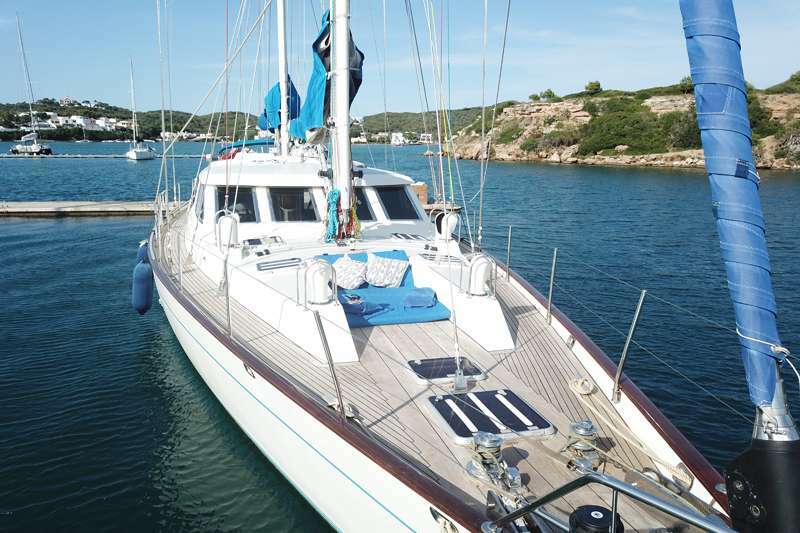 Forward of the saloon is the galley and crew accommodation.